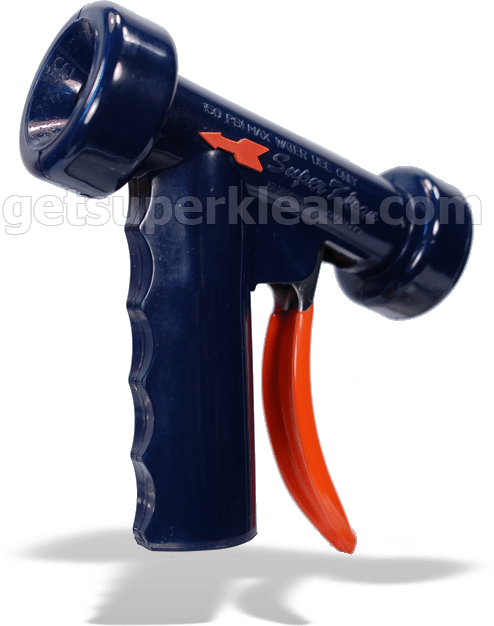 SuperKlean Series 150 Spray nozzles have rear mounted levers which reduce hand fatigue and offer smooth lever action. The valve seat in all SuperKlean nozzles is an integral part of the nozzle body. Variable spray patterns, adjustable from fan spray to solid stream, is one of the many features offered by SuperKlean spray nozzles. Water conservation is assured upon release of lever by the drip-free automatic shutoff feature.